The summer season of weddings parties and festivals is upon us and most recently the team at Bramhall under Nok and Steven’s direction and expertise have not only catered Anthony and Ambers wedding banquet, but have attended a number of local events feeding the masses with Fantastic Thai Street food delights. 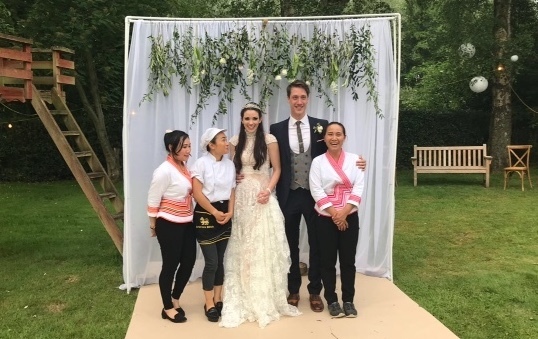 For more information about Chilli Banana providing an Freshly unique alternative to your catering requirements, contact your nearest restaurant. For where we are appearing next with our mobile street food kitchens keep checking in to our news pages and individual restaurant Facebook pages.